Several years ago, I was working with a patient for preventive care. After working with him for 10 years, he came in for a visit and I noticed his face looked more youthful. I asked him what was working. And his answer shocked me. He told me that he had stopped drinking coffee and was having one or two beers a day. Since changing his drinking habits, his face was showing a noticeable difference. He looked younger and his skin appeared more plump. At the time, I wasn't sure why this was happening. Recently, a significant study has shown that caffeine can actually have a negative effect on the physical aging process, while alcohol (in moderation) can have a positive one. This new research by Professor Martin Kupiec and his team at the Tel Aviv University's Department of Molecular Microbiology and Biotechnology is starting to shed some light on the effects of different beverages. It turns out different beverages affect your telomeres. 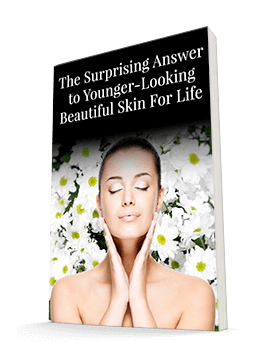 Telomeres are the end points of your chromosomes. The longer they are, the slower you age. And these researchers found that some beverages shorten your telomeres and some keep them long. As you can imagine, this has dramatic implications for both aging and cancer prevention. One of the beverages that lengthen your telomeres is alcohol. And caffeine shortens them. Professor Kupiec said of the research, "For the first time, we've identified a few environmental factors that alter telomere length, and we've shown how they do it. What we learned may one day contribute to the prevention and treatment of human disease." Telomeres help make sure DNA strands are copied correctly. When cells duplicate, the new cells contain chromosomes with slightly shorter telomeres. If the telomeres get too short, the cells die. Only fetal and cancer cells can continue replicating forever, so finding ways to keep telomeres intact is key in fighting the effects of aging. In a 2004 study, Nobel Prize winner Elizabeth Blackburn studied the effects of stress on telomeres using yeast cells. Genetically, these cells are very similar to human cells. She was surprised to find that free radicals do not shorten telomere length. So she and her team evaluated 12 other environmental stressors. Most didn't affect the telomeres either. But they did find that caffeine - even in low concentrations - shortened the telomere. And a 5% to 7% ethanol solution lengthened them. The TAU researchers looked into these effects further. They used 6,000 strains of yeast, with a different gene deactivated in each to see which would have the longest and shortest telomeres. They found that several genes had an impact on telomere length. This indicates that it may be possible to pinpoint environmental factors affecting cell death and aging. 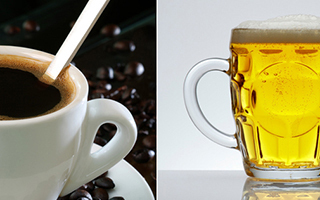 For now, Professor Kupiec suggests, "Try to relax and drink a little coffee and a little beer." But further research may find that beer beats out coffee when it comes to preventing disease. Regardless of what you drink, other than water, keep your intake in moderation. Your body will love you for it. Gal Hagit Romano, Yaniv Harari, Tal Yehuda, Ariel Podhorzer, Linda Rubinstein, Ron Shamir, Assaf Gottlieb, Yael Silberberg, Dana Pe'er, Eytan Ruppin, Roded Sharan, Martin Kupiec. Environmental Stresses Disrupt Telomere Length Homeostasis. PLoS Genetics, 2013; 9 (9): e1003721 DOI: 10.1371/journal.pgen.1003721.